Clint Eastwood Children, Sons, Daughters, Wife, Net Worth, Is He Dead? Who are Clint Eastwood’s Children – Sons, Daughters, Wife, Net Worth, Is He Dead? Clint Eastwood is a name that will not be forgotten in a hurry as far as movies are concerned. The Hollywood actor, director, and producer who started first with different odd jobs overcame the overwhelming challenges and ended up becoming a major icon in the industry. He has produced, directed as well as written some of the best movies in the industry. Eastwood who first started out as an actor will always be remembered for his role in the TV series, ‘Rawhide’ which formed the foundation of his success. Eastwood has one of the most inspiring stories with regards to his humble beginnings. Here are lesser known facts about the rare talent. Clint Eastwood who was born on May 31, 1930, to his parents – Clinton Eastwood Sr. and Ruth Wood in San Francisco, California. He was born into a regular middle-class family, having a migrant worker for a father and a factory worker for a mother. But this did not discourage him from his dreams. Being born during the Great Depression era, Clint had to change schools often as his parents were always on the move in search of better jobs and improved living standards. He attended Oakland Technical High School after his parents finally settled in Oakland. While in school, his interest in arts started to manifest as he would participate in school plays although he never enjoyed them. 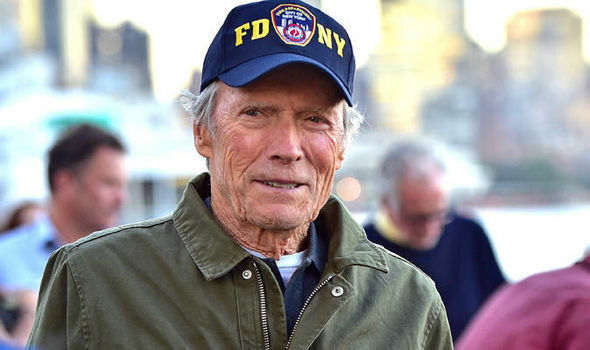 After graduating from high school, Eastwood did several odd jobs before joining the army. His movie career started after he left the army in 1953. After being encouraged by his friends in the army, Clint went for a screen test at Universal Studios. He was soon chosen to play a role in movies Revenge of the Creature and Tarantula. During this time, he still did odd jobs like digging swimming pools to add to his little income. In 1958, he got a major role in the series Rawhide. But his major breakthrough came in the 60s when he accepted the elliptical “Man with No Name” role in a trilogy of westerns; A Fistful of Dollars (1964), For a Few Dollars More (1965), and The Good, the Bad and the Ugly (1966). After those, Eastwood had risen to a known figure in the industry and started getting more roles like Hang ‘Em High, Where Eagles Dare, and Coogan’s Bluff – all in 1968. Clint Eastwood made his debut in directing in 1971 with the movie Play Misty for Me. With the establishment of his own production house, Malpaso Productions, Eastwood became a full-fledged producer making films of various genres. One of his notable movies is his Million Dollar Baby (2004) which exceeded expectations and grossed millions of dollars, as well as garnered lots of accolades including the Academy Awards. When it comes to the business of making of movies, Clint Eastwood is one of the richest men around. The actor, producer, and director has a net worth estimated at a whopping $375 million. Eastwood always knew he had a bright future ahead of him right from the time he earned $700 per episode when he starred in Rawhide. Clint earned up to $15,000 for his leading role in A Fistful of Dollars. His earnings continued to increase over the years as he rose to prominence as he received as high as $250,000 for The Good The Bad and The Ugly in 1966. His first directed movie ‘Play Misty For Me’ grossed over $10 million. Clint Eastwood and DinaClint Eastwood and his engaging personal life hardly escape the prying eyes of the media as well as the public. The renowned Hollywood actor and producer is known for his unrestrained life which involved several relationships with different women who also bore him children. He got married two times and is a father to seven children. Eastwood was first married in 1953 to Maggie Johnson whom he met on a blind date. Whilst still married to Magaret, he was in a serious relationship with actress Roxanne Tunis who bore him a daughter – Kimber Tunis ( born in 1964). He also had a child from another affair; the child was given up for adoption before he married Maggie. After some attempts to divorce unfaithful Clint, Maggie still continued with the marriage which produced two children Kyle (born 1968) and Alison (born 1972). However, they went their separate ways afterward, and the director continued with his womanizing lifestyle. In 1975, Eastwood started a relationship with Sondra Locke, an actress. The relationship which lasted for 14 years ended after Locke discovered that Clint was having sexual relations with other women and that such affairs had produced children. Clint at the time was seeing Jaclyn Reeves who birthed two children for him – Scott Eastwood ( born 1986) and Kathryn Reeves ( born 1988). After their separation, Clint started seeing Frances Fisher in 1990. The relationship ended in 1995 and produced a baby girl. 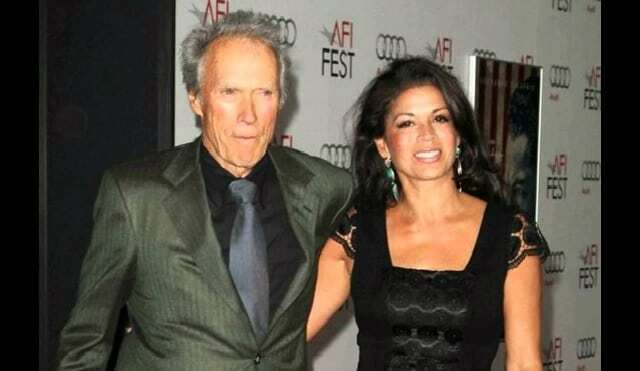 Eastwood married a second time in 1996 to Dina Ruiz. Dina and Clint had a child, Morgan, together before they divorced in 2013. Clint Eastwood was rumored dead in 2017. This was fuelled by some posts by unknown sources reporting the death of the movie icon. But it turned out to be a hoax. As of 2018, Clint is still alive.